I am in Phoenix for a brief stopover en route from Los Angeles to Salt Lake City. It is very hot here. 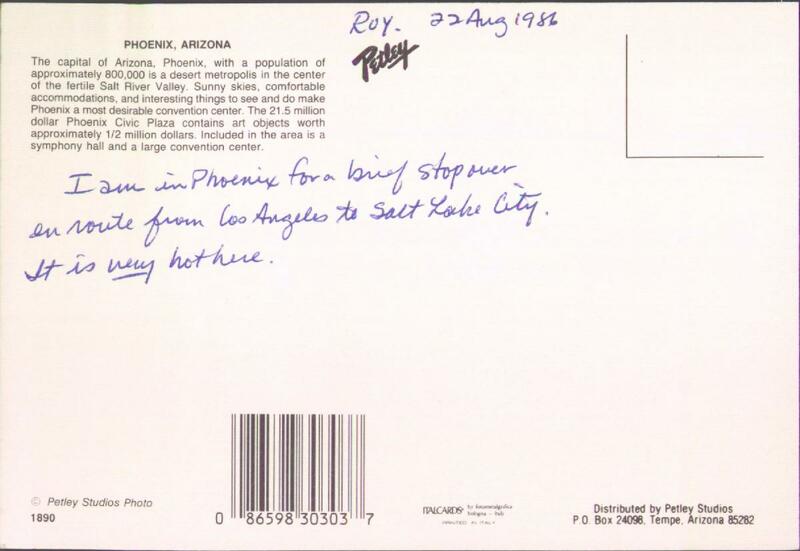 The capital of Arizona, Phoenix, with a popularion of approximately 800,000 is a desert metropolis in the center of the fertile Salt River Valley. Sunny skies, comfortable accommodations, and interesting things to see and do make Phoenix a most desirable convention center. The 21.5 million dollar Phoenix Civic Plaza contains art objects worth approximately 1/2 million dollars. Included in the area is a symphony hall and a large convention center. Admittedly this was before a lot of inflation in the art market, but isn't a half-million in art objects, like, one-third of a Warhol? Not really worth mentioning on a postcard. In fact, why bring up the Phoenix Civic Plaza at all? 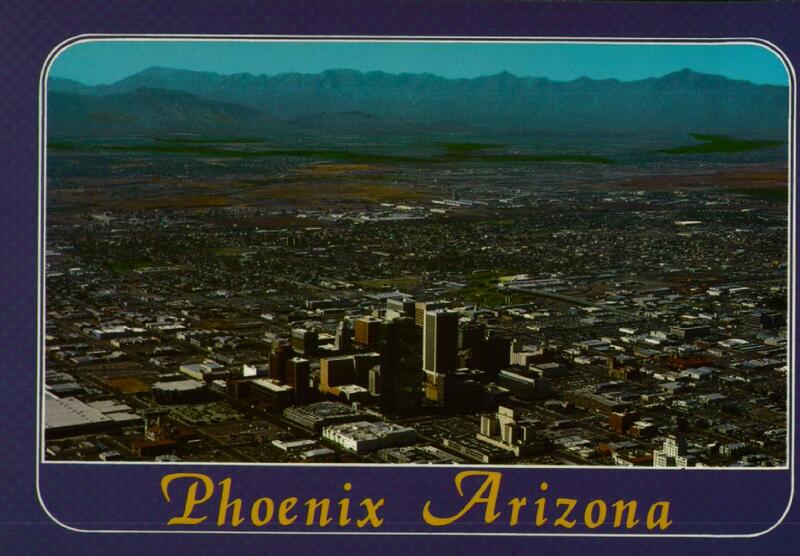 This is a postcard of the entire downtown area. I feel like I got collared by a booster. Well, I have just one thing to say to you, booster: it is very hot here.